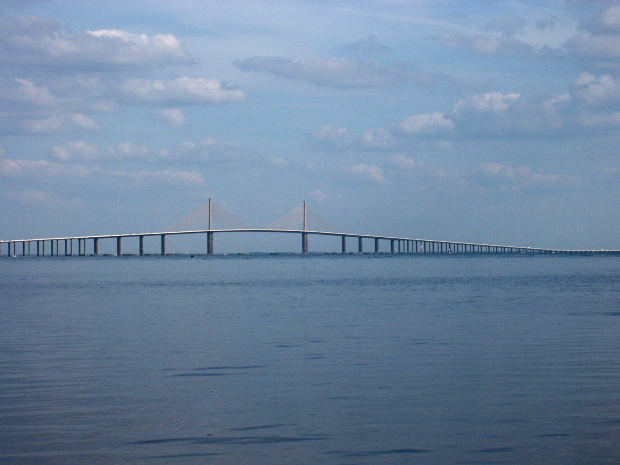 Since Florida has so many waterways, it is not surprising that the state also has many bridges. 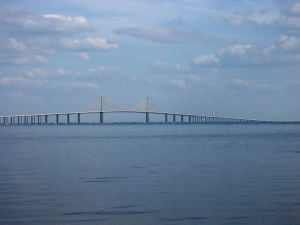 In fact, Florida is home to the eighth-largest bridge in the country. Large bridges such as Seven Mile Bridge and many smaller bridges provide a convenient and essential way to get around, but they can also pose their own challenges. 1) There is a drowning risk. One of the biggest risks with accidents on a bridge is that it can push cars into the water, where a vehicle can quickly sink with passengers trapped inside. Guardrails and the reinforced sides of a bridge are meant to prevent these types of tragedies, but they do not always work. 2) Guardrails can create injuries of their own. There have been a number of complaints made about changes to Florida guardrails in the past several years, with critics alleging that slightly shorter guardrails pose a risk. Some motorists have claimed that guardrails may fail to stop a car skidding out of control or in some instances may actually pierce the car, causing further injury. Some lawsuits addressing this problem are still being considered. Poor bridge design or inadequate maintenance can cause the structure to deteriorate over time, eventually leading to a terrifying collapse that sends vehicles and motorists crashing into the water. Bridges are especially vulnerable if overweight or oversize trucks are permitted on bridges. There are posted clearance limits and weight limits intended to save the infrastructure, but not all drivers obey the signs. 4) Bridges can squeeze traffic together and leave drivers with no other option to maneuver. One of the things that can make bridges very terrifying is that in the event of an accident there is simply no place to go to get out of the way. On a two-lane bridge with one lane of traffic each way, there is no shoulder or other area to maneuver in the event of a crash. This can easily lead to multiple vehicle accidents. 5) Bridges can become congested. One of the problems with bridges is that they are often the only way to get to a specific destination – there is no other way to drive over a specific stretch of water. This can mean that in the event of construction, an accident, or simply the morning rush these bridges can get quite congested. This, in turn, can lead to road rage, aggressive driving, and collisions. 6) Bridge design can be a factor. Sometimes, the way that bridges are designed result in collisions. The Seven Mile Bridge in the Florida Keys has been the site of thousands of car collisions and hundreds of fatalities. Lawsuits filed after these accidents have noted that the bridge has no barriers separating southbound and northbound traffic, making it easy for drivers to cross over into oncoming traffic. There are two traveling lanes on the bridge, which mean that there is little room to maneuver in case something goes wrong. 7) Surfaces can be a factor. Some bridges are paved with surfaces that can get quite slick. Some are designed to move out of the way of cruise ships and other large ships, and this often creates an uneven surface on the pavement where the parts of the bridge join. These areas can be bumpy and a challenge for drivers. 8) Vehicles can be vulnerable to winds. Florida has high winds, and vehicles on bridges are especially vulnerable to these winds since there are no wind breaks. Vehicles with high centers of gravity – such as commercial big rigs and tractor trailers – can be especially vulnerable to collisions on bridges in windy weather. Car accidents impact everyone involved, including those who are injured in the crash and their friends and family. If you have lost someone due to a car accident or have yourself been injured in a collision, contact Flaxman Law Group immediately for thoughtful and caring legal advice.